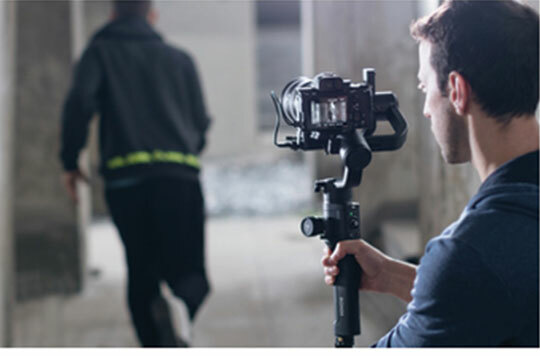 Los Angeles, CA—DJI introduced nine accessories for the Ronin-S. DJI’s first single-handed stabilizer for DSLR and mirrorless cameras, it helps capture stabilized video. From a brand-new external focus motor to a command unit offering quick access to settings, Ronin-S users now have new tools to capture their creative vision. 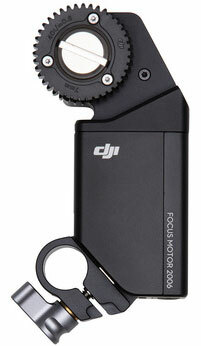 The new focus motor brings control to manual lenses that do not have internal adjustment. Utilizing the focus wheel, operators have the option to position the new focus motor on the focus ring to quickly adjust while filming. “Seamless and precise control over the lens is easily achieved thanks to .02º of accuracy,” DJI announced. 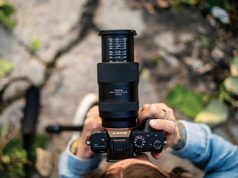 Moreover, the focus motor includes two essential components: a rod mount set that mounts the focus motor to the Ronin-S; and the focus gear strip that fits around lenses. 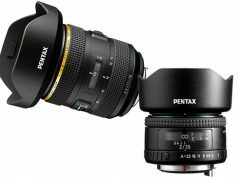 In addition, the focus motor allows control over a variety of lenses, thus expanding the creative freedom for professionals. The focus motor has a suggested retail price (SRP) of $169. The focus motor rod mount and focus gear strip each retail for $20. 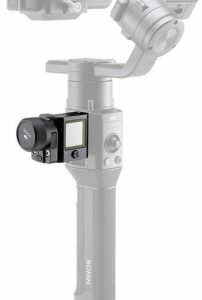 In addition, for operators who need to control the Ronin-S in fast-moving situations, the command unit brings quick access to the handheld stabilizer via a compact, bright screen that attaches to the side of the stabilizer device. Vital settings such as motor parameters, remote control as well as operation modes can be adjusted without a mobile device. SRP: $129. The BG37 Grip powers the Ronin-S with a 2400mAh built-in battery. It offers up to 12 hours of use to meet the needs of professionals seeking tools for extended shoots. SRP: $99. Moreover, a top hot shoe bracket mounts a DSLR camera to the Ronin-S. This enables shooting scenarios where the gimbal is mounted to a vehicle to shoot car chase scenes or fast-moving objects. It also comes with a cold shoe mount that allows users to mount external accessories during operation, as well as an additional mounting point for the Ronin-S focus rod mount. SRP: $49. stable range, the extended lens support secures the camera on the Ronin-S to help ensure more optimal shooting performance when the included support is not long enough. SRP: $69. 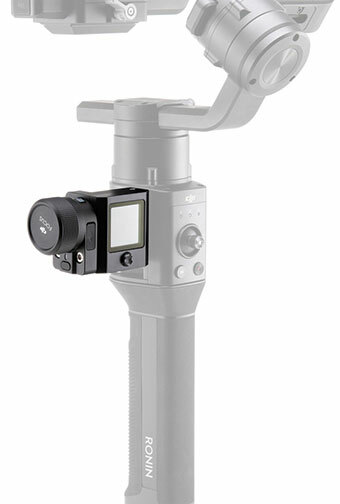 Also, a universal mount allows users to mount the Ronin-S to a car, a jib or a cable cam system (SRP: $169). And users can power the Ronin-S with the two independent DC-IN ports with a dual TB50 battery mount, a separately sold DJI battery system or any 12–17V power source. Finally, DJI offers the external GPS module for more stability during fast acceleration and deceleration when shooting with the Ronin-S. 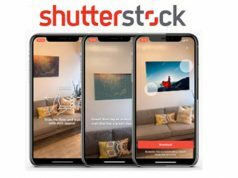 It enables smoother videos and the ability to hold a level horizon better. 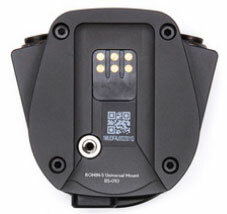 Moreover, the GPS signal provides more responsive gimbal stability that can react to sudden movements. SRP: $69.